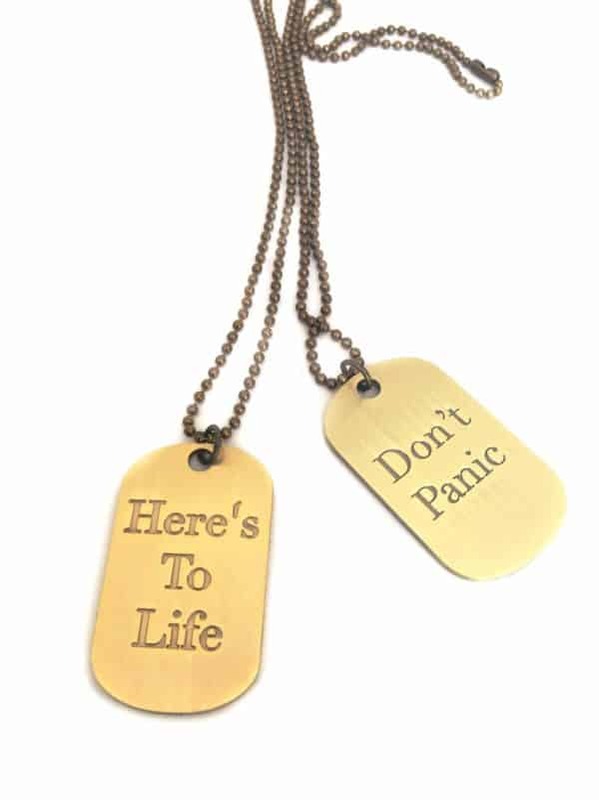 1.2mm sterling silver Florentine finish dog tag. 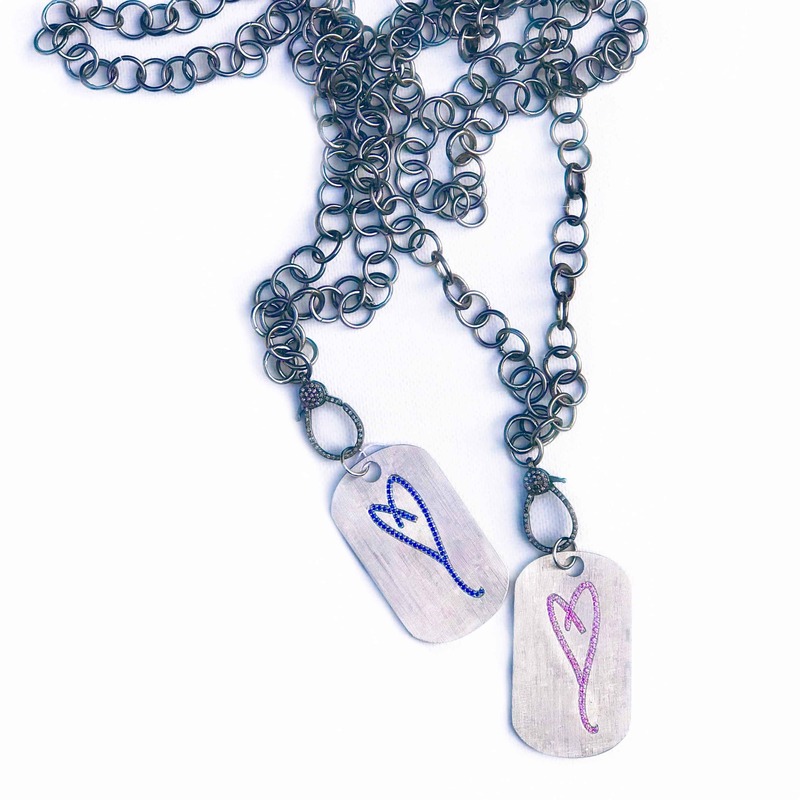 My mother’s hand-drawn heart in .67ct blue or pink sapphires on one side and ‘Here’s To Life’ etched on the other. 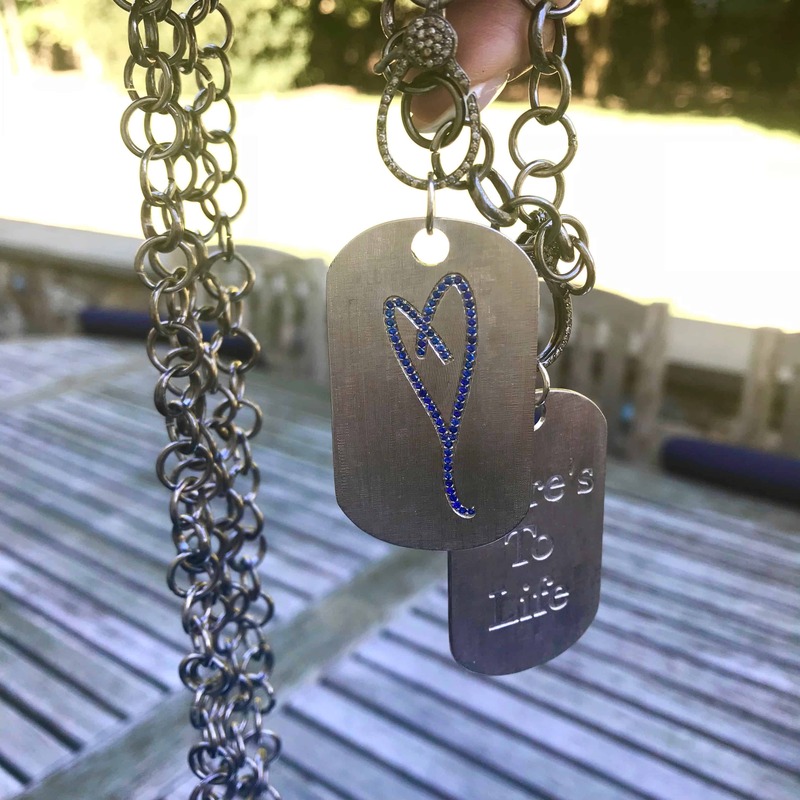 I love sapphire and silver. 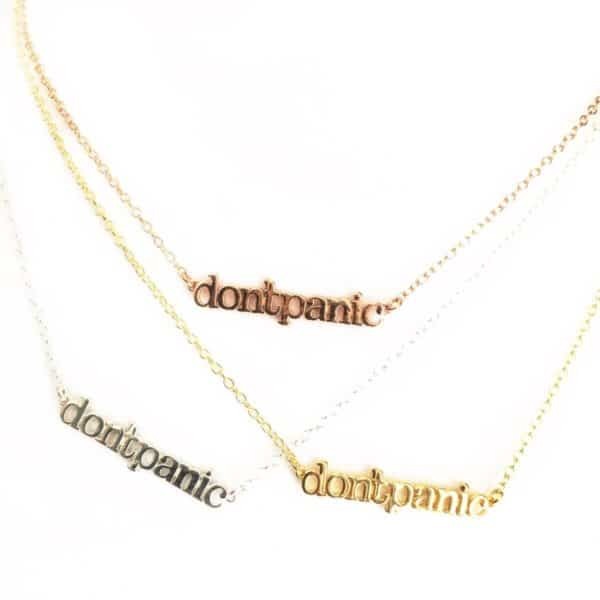 The combination makes me smile. 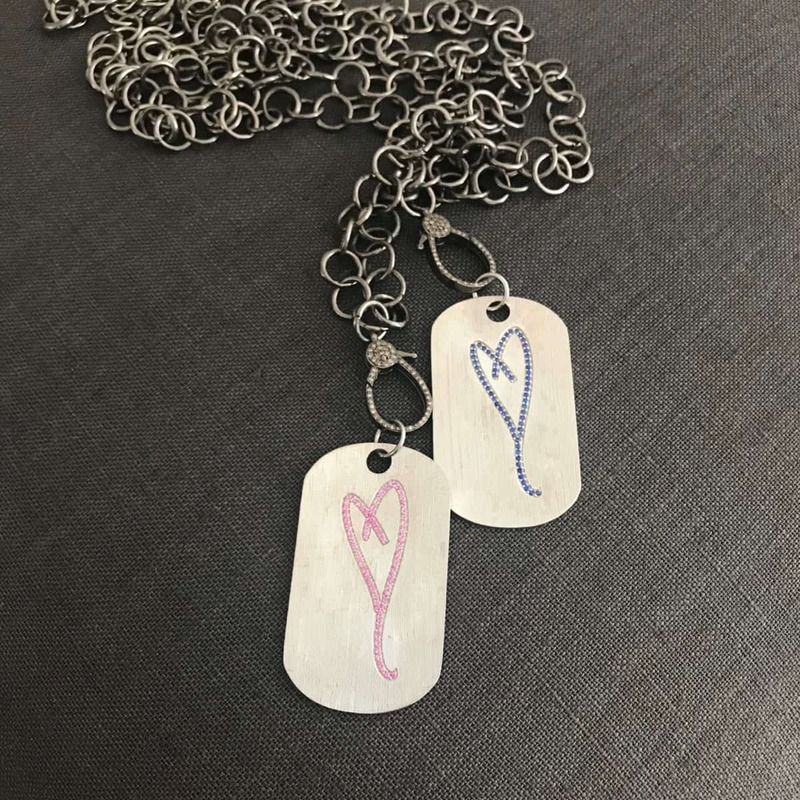 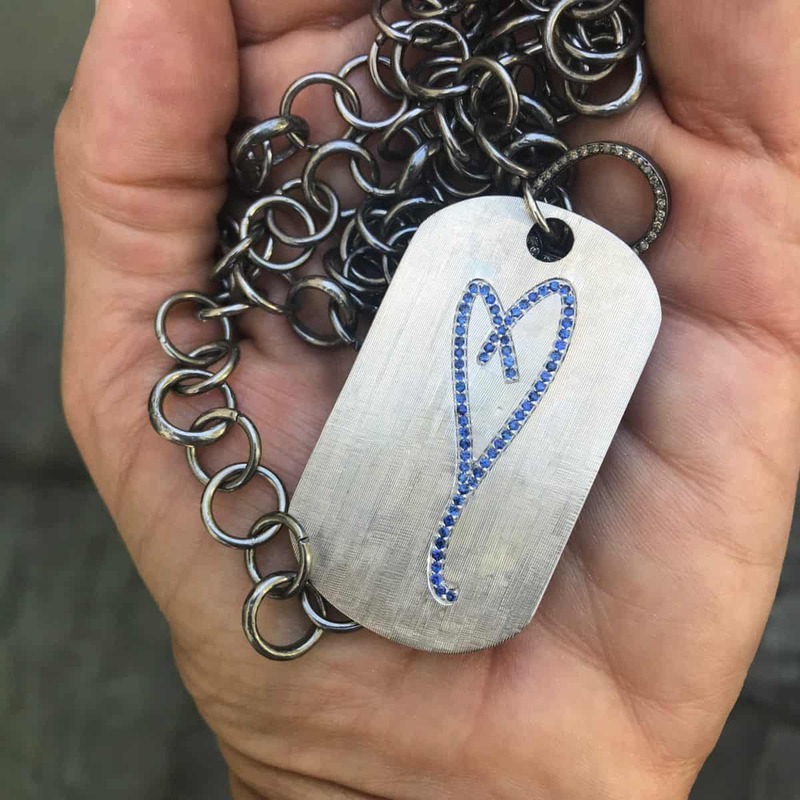 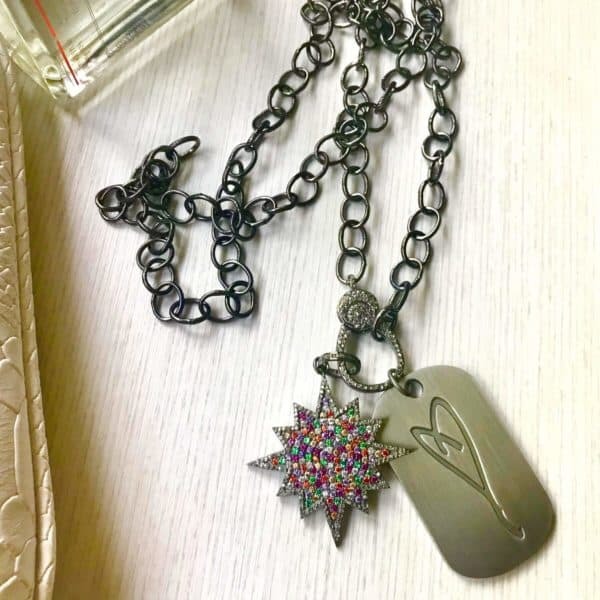 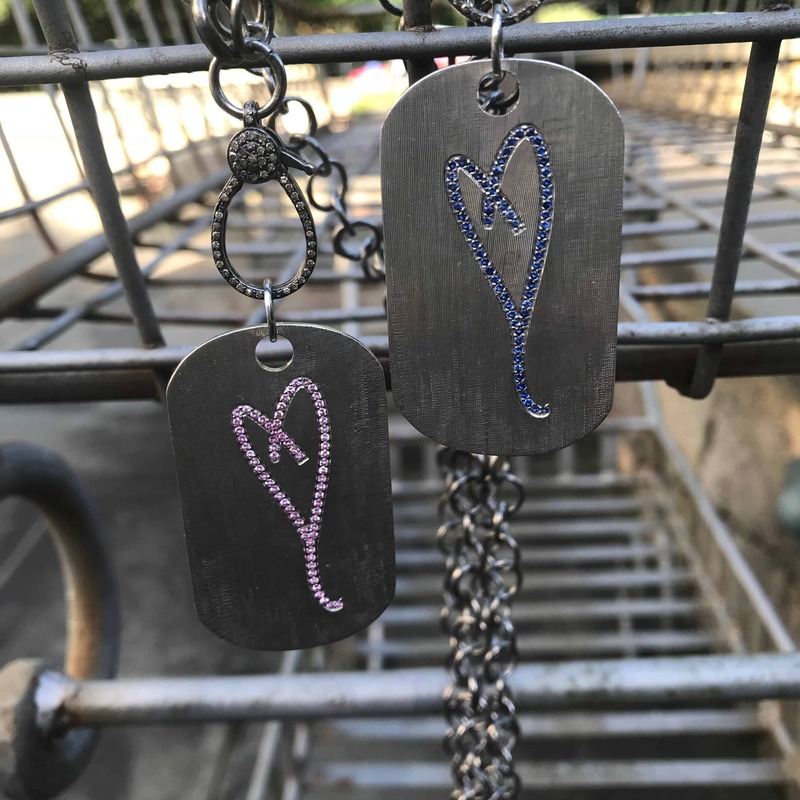 These dog tags in a sterling silver with my mother’s hand-drawn heart in pink or blue sapphires on one side and ‘Here’s To Life’ on the other, are sure to inspire and brighten your day.